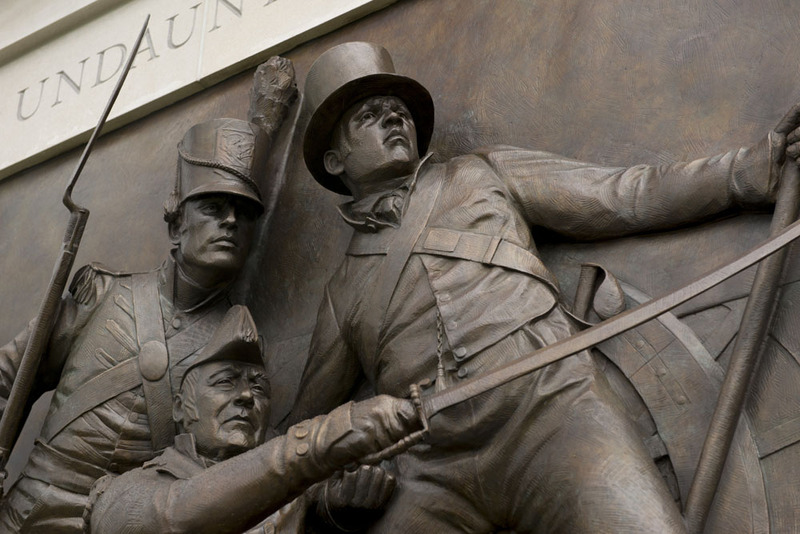 Over the course of 2012-2014, the Prince George’s County Committee on the War of 1812 and the Battle of Bladensburg Task Force worked to tell the story of the military actions and civilian life that preceded, surrounded, and followed the march across the county, the Battle of Bladensburg on August 24, 1814, and the burning of Washington D.C. Through Battle of Bladensburg Visitor Center at Bladensburg Waterfront Park, walking and bike tours, sites, events and signage, the Committee and the Task Force worked with partners to ensure a complete visitor experience. 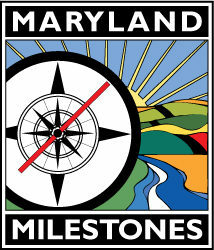 Maryland Milestones/ATHA Inc. provided staff support for this program. Visit a partner site – Bladensburg Archaeology – for a detailed video about the battle history! To explore the history of the Battle of Bladensburg, we recommend walking our biking the remains of the battlefield. With modern development, there isn’t much left of the landscape. However, the first and third line do have remnants that evoke the landscape of the time. The route was marked from the end of the Bladensburg Waterfront Park pedestrian bridge with small white stars painted along the route, however, many of these stars have been worn away over the last few years. Efforts in late 2018 will be made to renew these markings. Starting from the Waterfront Park, use this PDF version or pick up your own copy at the Visitors Center. War of 1812 related interpretation in Prince George’s County are coordinated through the offices of Maryland Milestones/ATHA Inc. working in cooperation with the Maryland-National Capital Park and Planning Commission, local governments, county agencies, and private citizens.